What happens to your home after you die? My colleague Attorney Elana Billig has put together an important document called “What Buyers Should Know About the Ownership Structure of Their Home in Israel.” She has kindly agreed to let me reprint it here on the blog. While the answer to the above query may be affirmative in many foreign jurisdictions where property is held in joint tenancy with right of survivorship (which in short means that each owner has an equal right to share in the use and enjoyment of the property during their lifetime and upon the death of one owner, the other is entitled to the full ownership of property), clearly this is what the typical Anglo Israeli homeowner expects and is hoping to hear. However, this is generally not the case in Israel. In Israel, absent specific structuring of the purchase agreement, or a prenuptial agreement, or the like, when a married couple purchases a property, the ownership is registered in equal shares, and each spouse is recorded as a 50% owner of the asset. Upon the death of one of the homeowners, the 50% ownership in the asset would be divided in accordance with their Last Will and Testament. However, in the absence of a valid will, that person’s 50% ownership would be divided in accordance with the rules of intestacy (defined as dying without a valid will). Therefore, in Israel, when a person who is married and has children dies without a valid will, then the law would grant the surviving spouse half of the deceased spouse’s ownership in the home, and the children of the deceased would receive, in equal amounts, the other half of their deceased parent’s interest. In Israel, in the situation where one spouse dies without children or parents, and without a valid will, the surviving spouse would receive the percentage as prescribed in the relevant law of the deceased spouse’s 50% ownership, and the deceased spouse’s siblings would also receive a predetermined percentage of the deceased’s 50% ownership. The relevant laws of intestacy continue to set forth a wide range of other scenarios about who the lawful heirs would be, and concludes with what happens in the situation when an individual dies with no lawful heirs. Thus, in the absence of a valid will or other contractual or prenuptial agreement, a grieving spouse may be in a situation where he/she will have to seek permission of his/her own children, in-laws, or some other lawful heirs of the deceased, to continue living in their home. An unfortunate and complicated situation such as this could be avoided through the drafting of a will which sets forth what will happen to the home, as well as other assets, upon the death of a homeowner. Israeli law allows for an individual, if he/she so desires, to draft a will which would bequeath his/her proportionate ownership in the home initially to the spouse, and upon the surviving spouse’s death, to their children or some other beneficiary. A provision such as this would allow a married homeowner to feel comfortable that his/her spouse can remain in their home, and that his/her children or whoever else they specifically want, will subsequently inherit his/her interest in the home. Note: This article relates to married couples as recognized by the Interior Ministry of the State of Israel. An entire article could be dedicated to the topic of others potentially recognized as spouses for inheritance purposes. This article is for informative purposes only and in no way is to be construed as legal advice or a legal opinion. 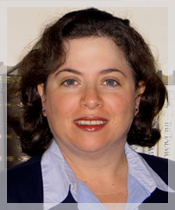 Elana H. Billig, Adv. is an Associate at Gideon Koren & Co., Law Offices and Notary. Should you have any questions or comments regarding this article, feel free to contact Adv. Billig by email at elana@gkl.co.il. Posted in In the News. Tagged with Israel, Legal.